This competition was organized to celebrate National Poetry Day, 6th October 2016. We had a fantastic response with eighty entries! The theme, as for National Poetry Day, was ‘Messages’. The poems were sent as anonymous entries for judging and this year we were delighted to have poet William Hershaw as our expert judge. William enjoyed reading all of the poems and said he’d learned a lot from reading them. In all three age categories he found it very hard to choose winners due to all the thought and hard work that had gone into writing them. Our thanks go to William for taking the time to judge the poems for us. Congratulations go to the winners! We hope they enjoy their prizes. 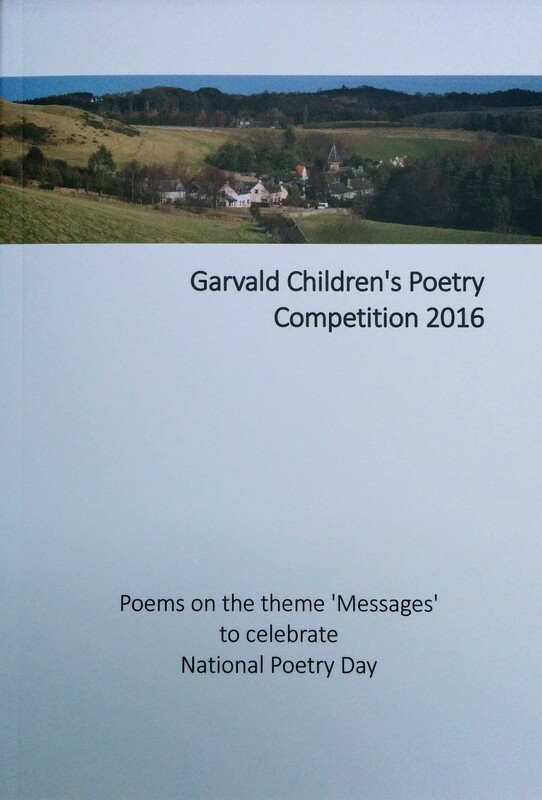 Winners received book tokens, poetry postcards, poetry anthologies and the book of published 2016 competition poems. 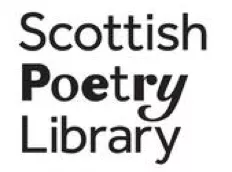 The winning entries have been published here (scroll down to read them) and will also be published on the Scottish Poetry Library blog for teachers. We are grateful to the Learning Manager at the SPL, Georgi Gill, for her support and for arranging some lovely prizes. The Scottish Poetry Library is well worth a visit if you are looking for a huge range of poetry all in one place. 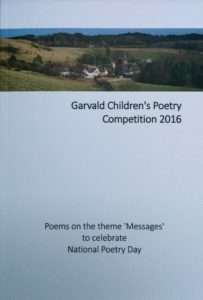 We would also like to thank Garvald and Morham Community Council for their support in funding generous book token prizes and the printing of the competition poetry book, in which all entries have been printed. In the poem A Message I Never Answered nature is trying to tell us something. What can the message be? ‘Help me!’ I like the structure of using the four seasons in this poem. The last stanza shows how we can lose contact with nature if we don’t acknowledge her cries for help. The poem My Dog Passes Messages demonstrates how we can communicate with other creatures – or maybe how other animals can communicate with us. How rewarding this can be! Don’t Read This Message is a plea for privacy! I liked this poem because it explores how we like to keep secrets but also love to share them at the same time. Sometimes in poetry less can be more and it’s what you leave out that can be important. The structure of Message in a Bottle is deceptively simple. Each first line uses repetition of the phrase “Message in a bottle”. Each second line begins with a present participle verb describing movement: “lapping”, “pulling”, “crumbling”. We never find out what the message is because it is “ink blurred by the tide”. The ending of the poem is quite sad and leaves a sense of mystery yet the whole poem manages to say something profound about time and the finder’s situation. Hermes is one of a number of good poems that uses personification of the messenger god Hermes as a metaphor for our social media. I love the phrase “ripping through the sky”. Great word choice. This Living Death is a serious war poem written as a diary entry from the trenches. This poem makes us think and sympathise with any soldier losing his comrades in war and facing his own death. Powerful and direct. The Letter is another poem with a sense of mystery: what does the letter that is on the table say? Is it a letter received or waiting to be sent? The poet finishes with two very effective similes. The word choice creates thoughtful, vivid images: “swirl”, “cursive” and “crisp”. A skilled poem. One definition of poetry is “using the minimum of words for the maximum of meaning”. The author knows this. The Balloon is a great story poem. The ending is not obvious and manages to be sad yet hopeful at the same time. The lines “it popped and let all my emotions drop to be caught in the wind” are memorable and beautifully expressed. Messages to Myself is a reminder of how busy our lives have become. “My wall will never clear”. I hope it does soon. The poem poses the question “does social media and technology always improve our lives?” In this poem at least it helps the poet to organise her/his hectic life. By Grace Fletcher, Age 9. I saw a pattern in the flowers, it said Help Me! There was a message, always the same, Help Me! It was a message I never answered. By Molly Mack, Age 9. And drools when his food is being prepared. And tilts his head when he watches TV. But when he wants to play he gives a loud bark. He waits by the kitchen door in hope that food will fall on the floor. Is the message of love in the kisses he gives to me. By Calypso Robson, Age 9. Don’t read on, no stop now! You might be thinking why, what, how? If you must know, it is none of your business. Stop, go away, leave me alone! Leave me alone, don’t you know what personal space is? It is just from my granny saying hi. By Rudie Shearer, Age 10. By Campbell Mack, Age 10. By Arthur Meynell, Age 10. My lifelong friends are now rotting in the mud. Is this really how we end? Is this a living death? Writing to you in this crumpled diary, before I am gone too. And before long I will be forgotten. Away from this damaged world. By William Gimlette, Age 12. As crisp as a fallen leaf. By Orlando Gray Muir, Age 11. I slumped onto my bed and despaired. By Jinan Misbah, Age 11. I see the post-it notes glued all over the walls. I sit down for several minutes trying to work out what the hurried streaks of blue mean, all my reminders. All the duties I will eventually have to complete. All the essays I have to write, all the messages I receive. I know who they are from. I know when they are due. I know what to do first. But it doesn’t last for long because I rip it off just to stick a new one in its place. My wall will never be clear. But it is not a fear of mine. It is not a bore, because these messages aren’t orders from someone else. They are all messages…. If you’d like to read all of the competition entries, they have been published in a PDF file. Paper copies of the book can be read at The Garvald Inn and Haddington Library. Celebrating National Poetry Day (Thursday 6th October, 2016).